Visit the Maritime Experiential Museum for an innovative and interactive sensory experience in the heart of Resorts World Sentosa. You will find it located right next to the S.E.A. Aquarium on Sentosa Island. This iconic museum is the only one of its kind where visitors get to immerse in Asia’s rich maritime history as well as learn more about the country’s past as a key trading port in the region. 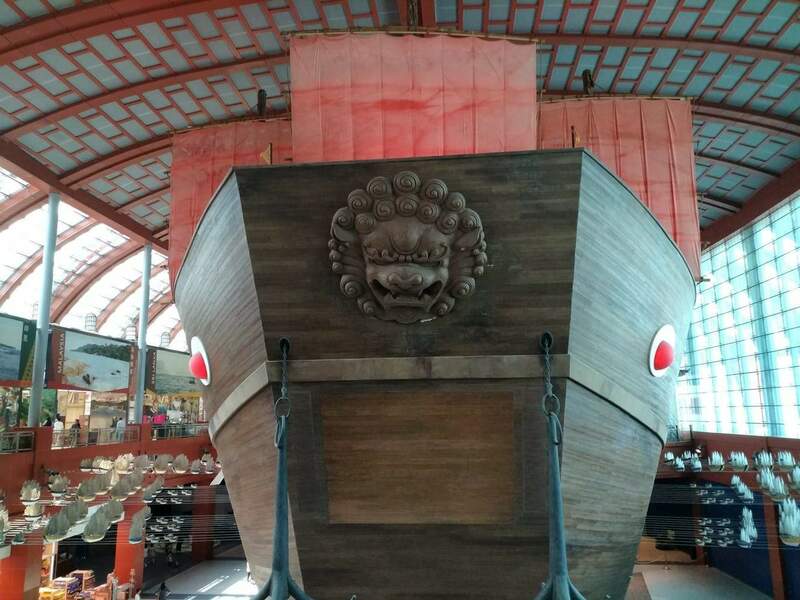 The museum was inspired by Admiral Zheng He, who, upon his appointment, led a fleet of hundreds of sheep and a crew of about 28,000 to discover the sea and its treasures beyond. In honour of this daring expedition, the first part of the museum is dedicated to showcasing the countries that Zheng and the crew toured. Alongside this remarkable feat, the display also shows the unique cultures in the different countries alongside the goods and spices collected from the journey. One of the greatest highlights at the museum is the Omani Dhow, fondly referred to as the Jewel of Muscat. A trip to this museum is incomplete without having a look at this amazing attraction. The Jewel of Muscat is an accurate replica of the ship gifted to the Singapore people from the Oman government. This gift was a gesture following the establishment of the Belitung ship’s route between Oman and Indonesia. A closer look at the ship reveals that it is built using traditional materials and ancient construction techniques, making it an integral part of the museum’s artefacts. Another highlight at the Maritime Experiential Museum is the unique Typhoon Theatre. This expansive 360-degree theatre provides an unforgettable multimedia experience complete with a 4D show. As such, visitors can ‘get on board the ship’ and with the aid of modern multimedia technology, experience stormy weather aboard the ship. The ship finally gives way and sinks, and it is not unusual to hear shrieks as visitors experience the descent. Once it has ‘sunk’, everyone on board gets to come up close with shipwrecks and the biodiversity of marine life. The show ends and visitors exit on the first floor. This is an exciting experience, and one of the most popular things to do at the museum. The typhoon theatre is operational from 10am to 8pm daily while the museum opens at the same time but closes an hour later. Visit the Maritime Experiential Museum for an unforgettable experience.